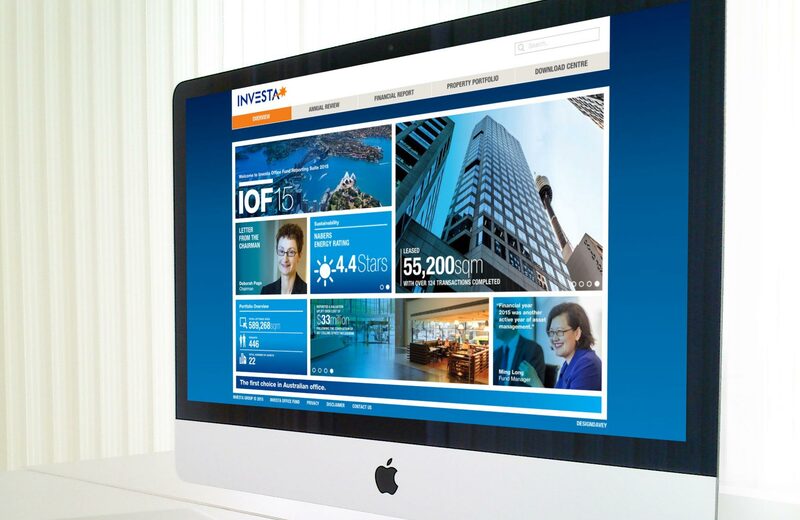 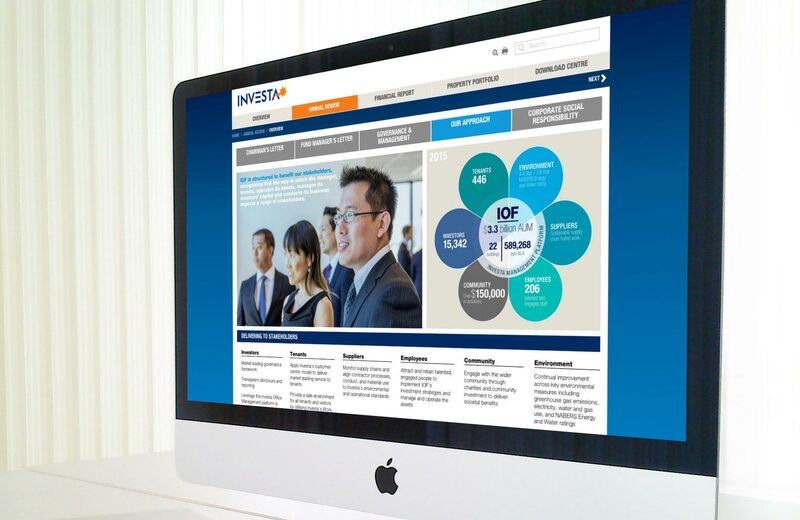 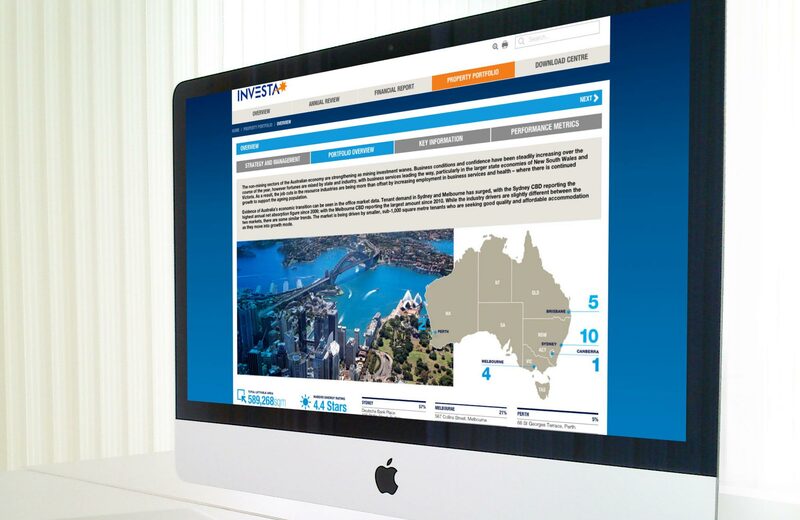 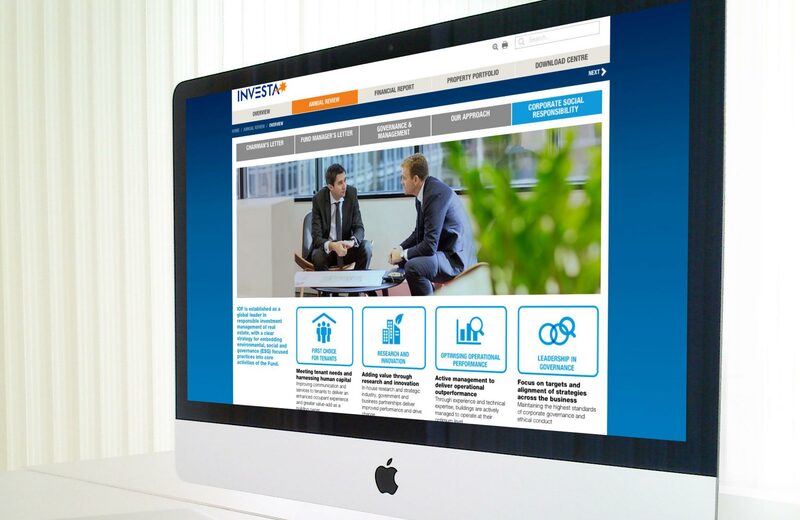 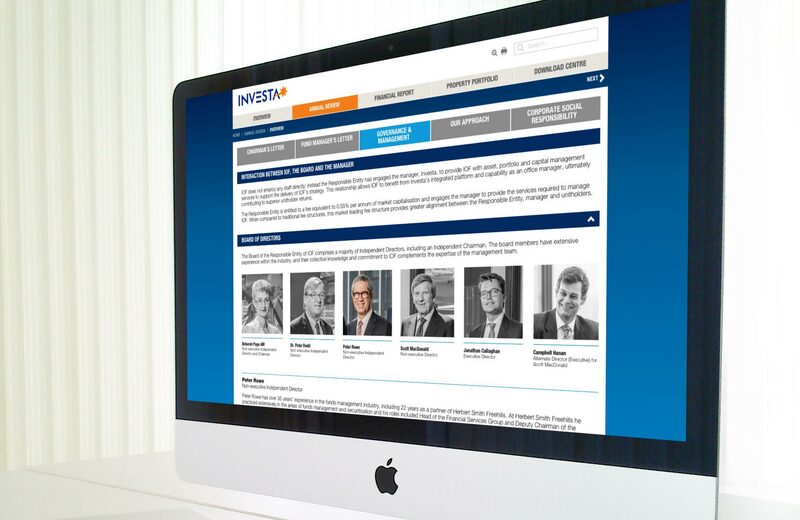 Investa Office Fund (ASX:IOF) managed by Investa Property Group, is one of the largest office real estate companies in Australia and a leading residential and industrial land developer with properties across Australia and in Europe. 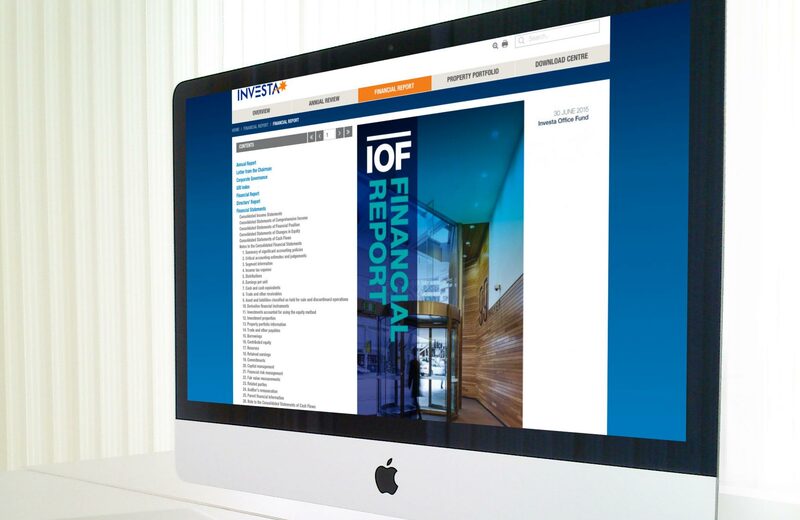 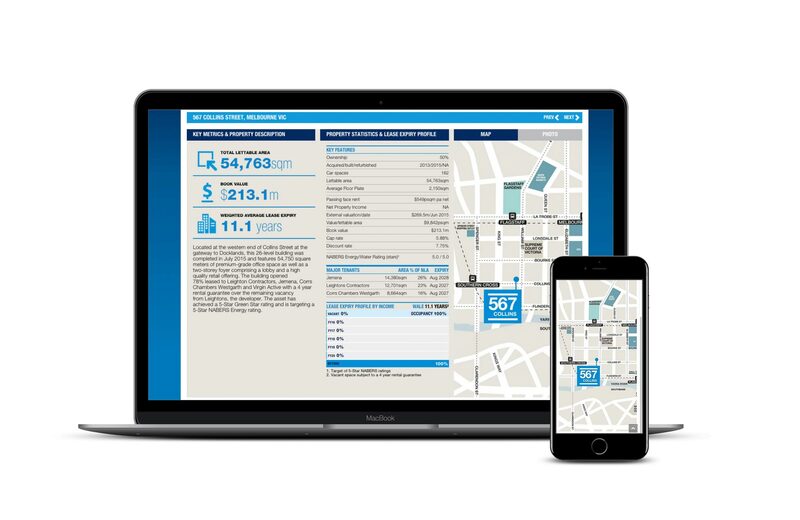 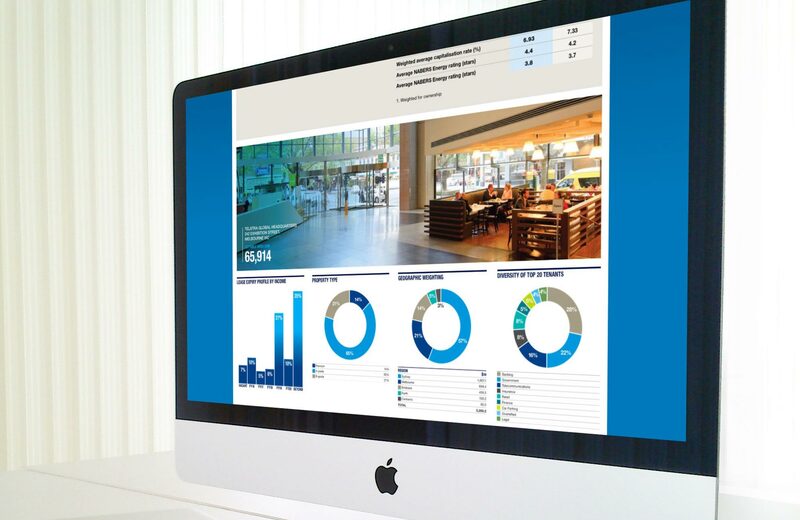 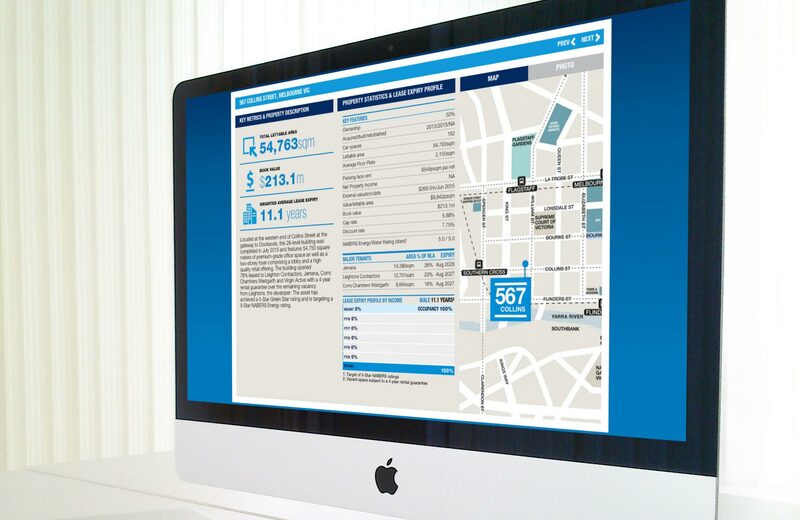 For the second year, Digital Tsunami implemented the online reporting suite (Annual Review, Property Portfolio and Financial Reports) for Investa. 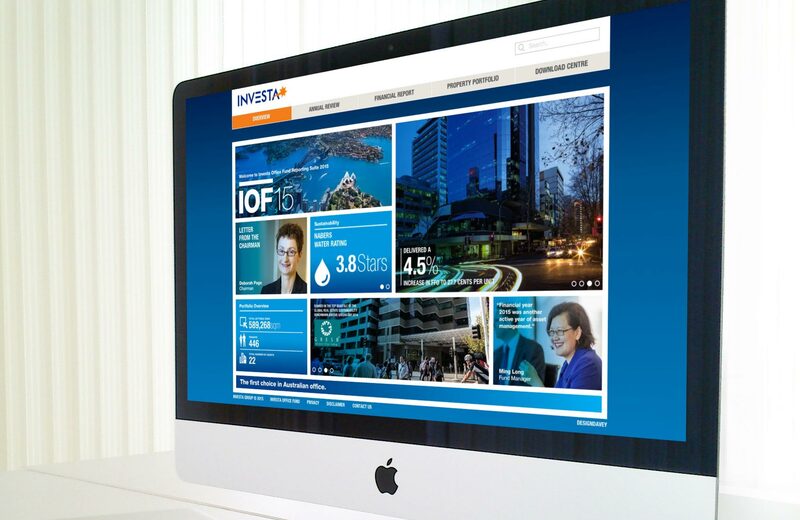 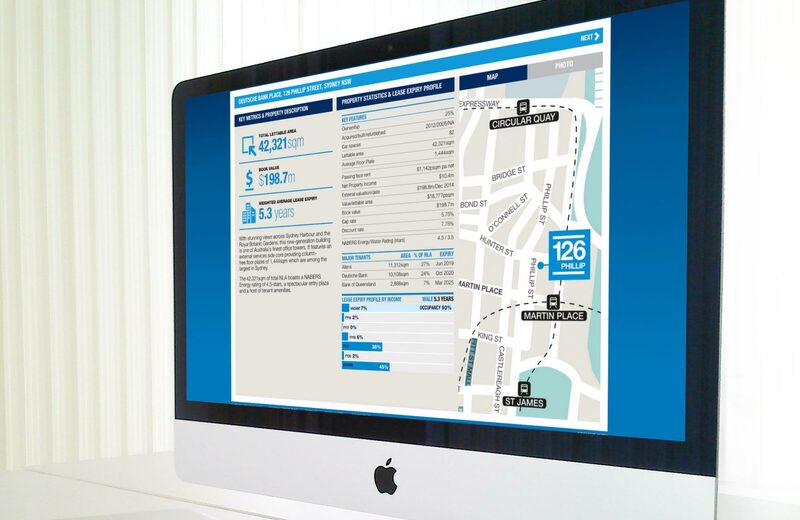 In collaboration with our friends at Sydney design house Design Davey, flat print documents were converted into interactive online screens, using dynamic components including dramatic animations, sliding panels, fade-in graphs, content tabs and accordion navigation. 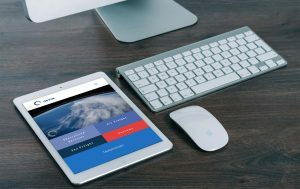 The ‘look and feel’ of the site is assiduously compliant with the brand style guidelines in its use of identity and colour palette, font and design, and almost identically resembles the print collaterals, but is presented in an online format which has to accommodate a plethora of computer operating systems, browsers, browser versions, devices, screen resolutions, and font types and sizes. 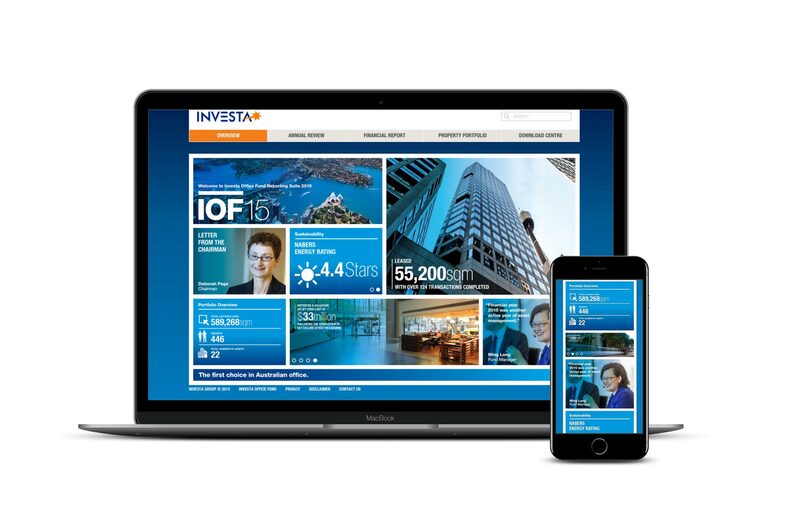 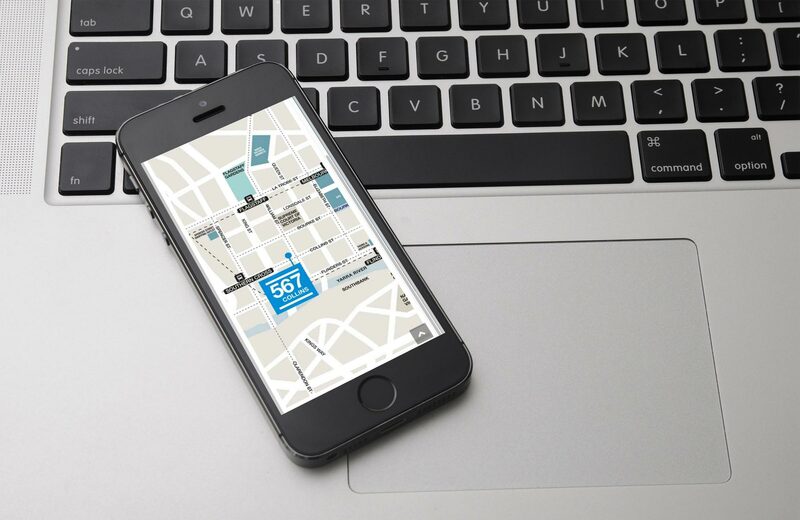 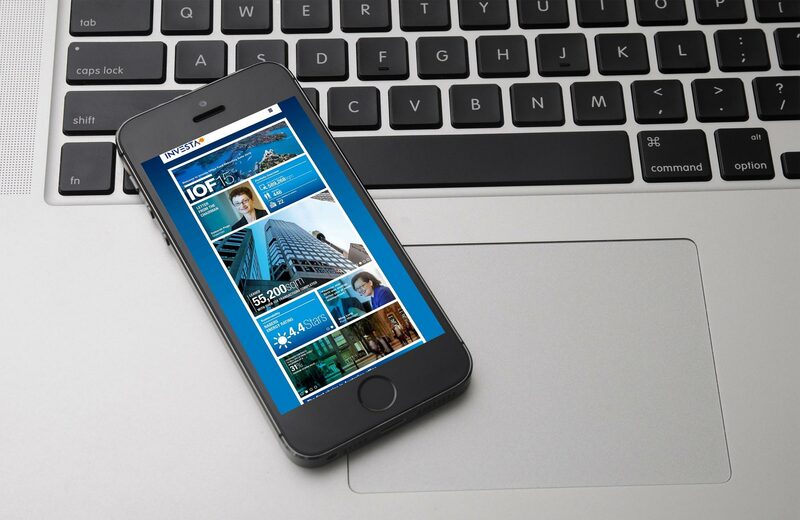 The comprehensive and interactive suite was developed using responsive design, enabling it to appear appropriately on any fixed or mobile device: desktop, laptop, tablet, phablet or smartphone. 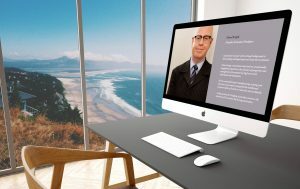 The degree of complexity in delivering such a scalable and flexible solution and the exceptionally short time-frame in which it was delivered, was achieved through the dedication and expertise of Digital Tsunami Technical Director Amir Mostofi in leading the development.